Would these coats have kept you warm during the frigid temperatures much of the US experienced recently? Fall and Winter Catalogue No. 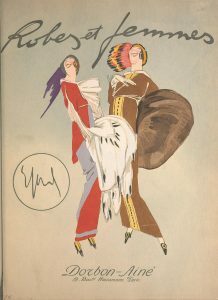 74 for the seasons of 1916-1917 by Bellas Hess & Co. illustrates several winter coats. 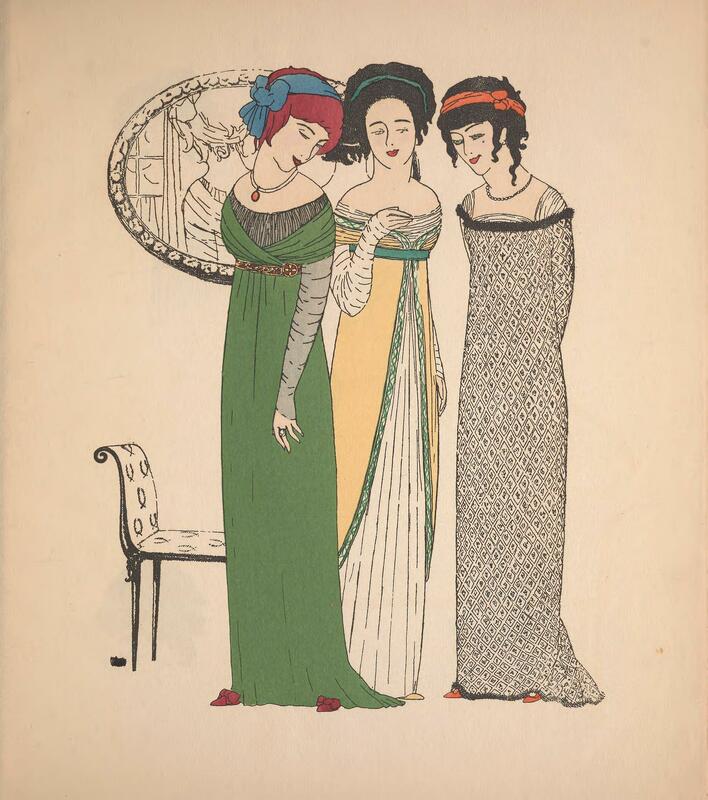 Les Robes De Paul Poiret racontées par Paul Iribe. (1908) Smithsonian Libraries. 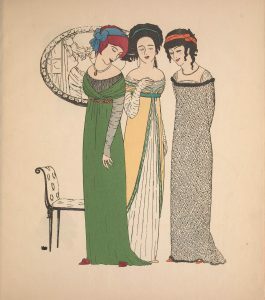 This fashion plate from Les Robes De Paul Poiret (1908) is one of eleven illustrations, all recently scanned and now available for your viewing pleasure. Poiret is often credited with liberating women from the body constricting corsets popular during the Victorian and Edwardian eras (1837-1910). 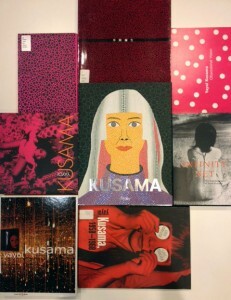 It’s not unusual for art and fashion to exist symbiotically, each providing inspiration for one another. Some artists, such as Andy Warhol, have become fashion icons both in the incorporation of their artworks into fashion designs, as well as their own fashion sense. New York Fashion Week is held in February and September of each year in New York City; dates for 2013 are September 5–12th. The Special Collections of the Cooper- Hewitt National Design Library in New York have always been a great research resource for people working in the fashion and related industries. We have in our collection a rare fashion title Robes et Femmes, published in 1913 by the Italian designer Enrico Sacchetti (1877-1967). Wondering what the styles and trends were almost a century ago? 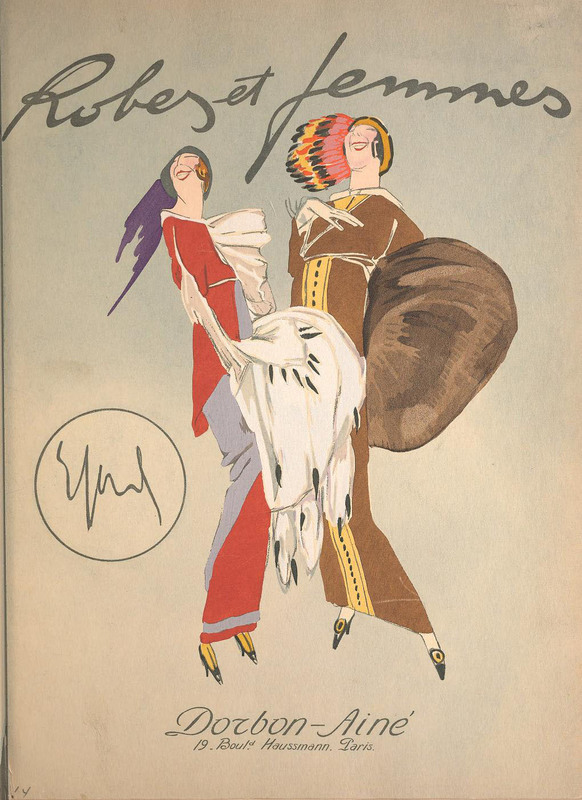 This Bellas Hess & Co. trade catalog gives us an idea of what fashion was like ninety-seven years ago. Fall and Winter Catalogue No. 74 is from the seasons of 1916-1917. It includes a variety of clothing and accessories such as dresses, blouses and skirts, suits, hats, and more. Get ready for Fashion Week! Who says librarians can’t be fashionable? Join us September 5th-12th as we celebrate New York Fashion Week by highlighting the fabulous fashion and costume items in our collections. Stay tuned here on the blog, as well as Twitter, Tumblr and Facebook, as we strut down the virtual catwalk! Continue ReadingGet ready for Fashion Week!